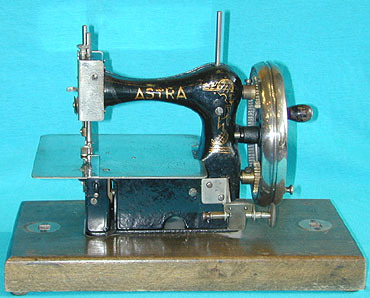 Toy sewing machine - The Astra. Produced by the German toy manufacturer Casige, this particular model was something of a departure from their norm by being a lockstitch machine. Whilst not the prettiest in their range, its scarcity today makes it quite desirable.